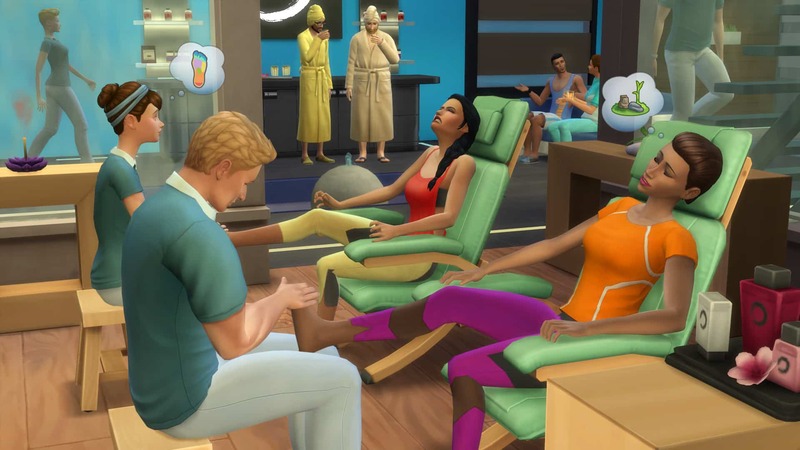 Be good to your Sims for a whole day with The Sims 4 Spa Day. Sims can visit now the brand new spa called ‘Perfect In Balance’ to get a revitalizing massage and find an inner balance by doing yoga. After a relaxing mud bath your Sims can forget the daily stress in the sauna. With a bunch of completely new objects and decoration pieces you can give your Sims’ homes a comfortable ambiance. 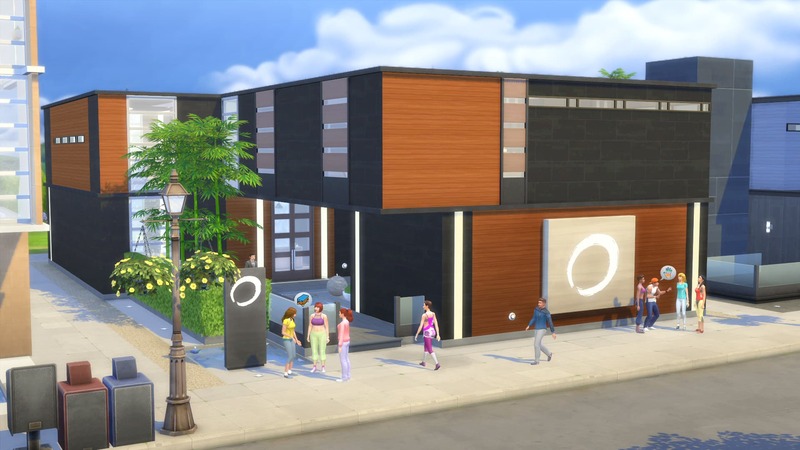 This brand-new lot has a calming and inviting atmosphere. 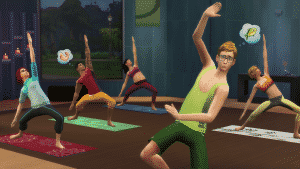 Because of many activities and amenities even the most stressed out Sims recharge new energy. 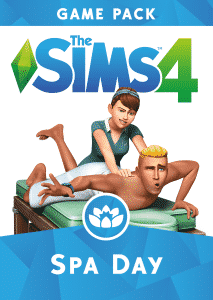 Choose between four pre-built spa lots or build your own one! 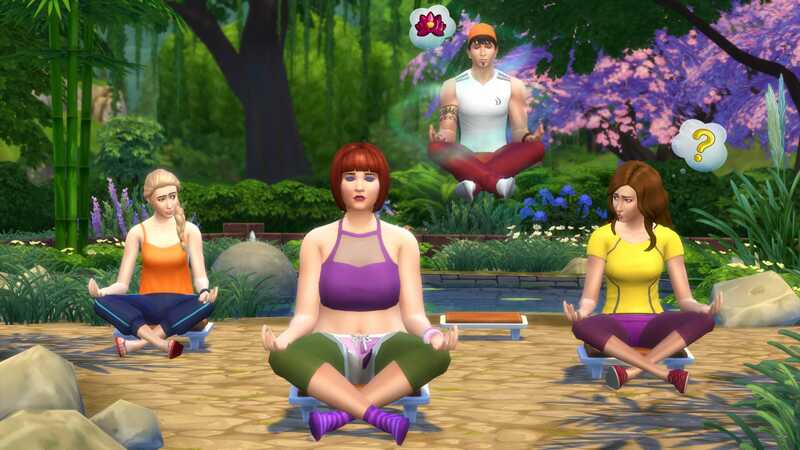 With the new wellness skill your Sims learn to control their spirit, body and feelings. Practise yoga or meditate to reveal the secret about teleportation and levitation. 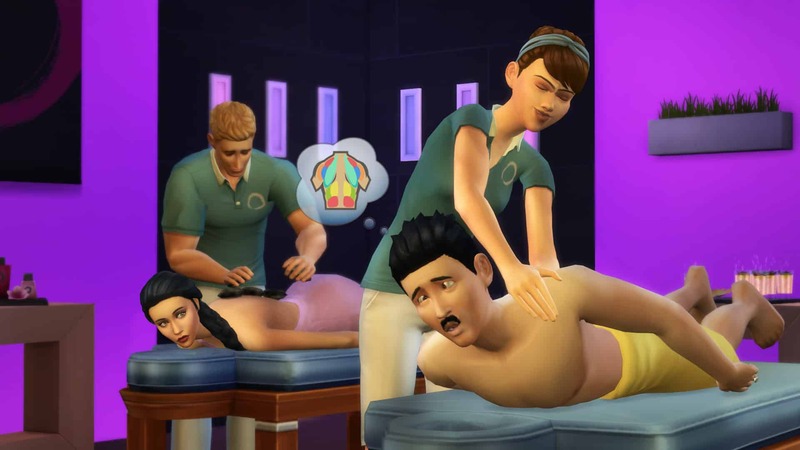 From the hotstone-massage to the reflexology-massage, your Sims can now get or give massages with some positive and negative effects. 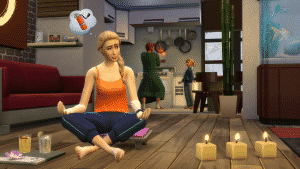 Relax in the sauna whilst mischievious Sims play smell-intensive pranks to other Sims. Gentle hairstyles! Comfortable casual wear! You don’t have to sacrifice your style in the name of the comfort but it’s just a question of time until your Sims get used to their casual look! Build a mud bath and a sauna for the daily use! Equip your Sims’ homes with all the amenities and comfortable furnitures so they will never want to leave their house again.